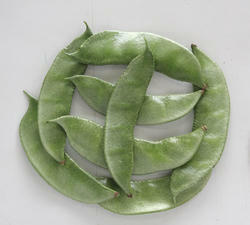 We provide dollichus bean seed DOLLICHUS - DASARA which is one of the best bean types. These are ready to harvest within 60 days after cultivation. Pods of this variety are green with 4-5 seeds/pod. The crop can be used as ratoon. Owing to its capability to cultivate in different seasons it has huge demand in local and distant markets. The DOLLICHUS - DASARA offers excellent taste. Amar Seeds again launch new Research Variety of Toamto(Panchali 7771). Fruits are dark red,shiny,oval shape, developes in a bunch of five. Ready for harvest within 60-70 days.Resistance to Verticuillum and Fusarium wilt.Suitable for cultivation in all seasons.It gives yield upto 25-30 tons per acre with better management practices. The Coriander-Khushboo is ready for picking within 35-40 days of transplanting. There is more number of leafy branches per plant which is the result of our high quality seeds. 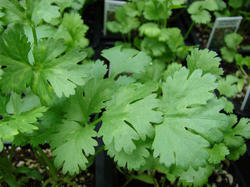 The coriander leaves are shiny green in color and exudes pleasant aroma. The leaves are resistant to wilt and can be cultivated in all seasons. It takes around 110-120 days for the crops to get ready for harvest and the Red Pumpkin–Amar Kesar so grown are of saffron color, semi round with 8-12 ridges. 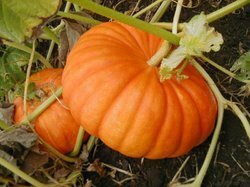 The red pumpkin being fibreless is widely in demand in the market. 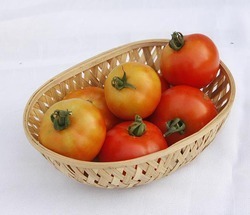 These have a shelf life of 4-6 months and are easy to harvest & transport. It is conducive to cultivate them all the year round.